This Christmas we got a lot of pow. We had a terribly difficult drive from Hamar to Stranda due to the road over Strynefjellet closing just minutes before we reached the foot of the mountain, and had to turn around. This made a four hour long ride from Otta to Volda turn into a nine hour long ride from Otta to Stranda. Needless to say, we were exhausted when we arrived. We learned that the road had been closed due to avalanche threats, and in hindsight we were happy that someone watches out for those of us on the road driving home for Christmas. Pow does not mean just closed roads however. 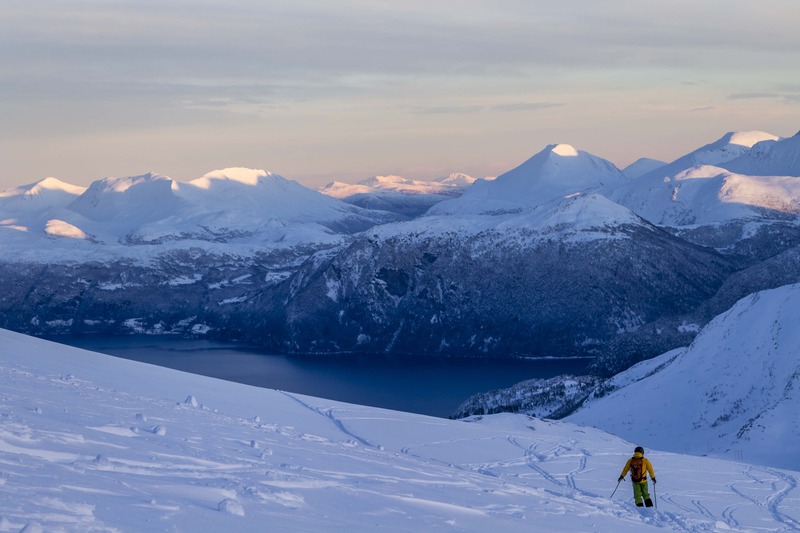 It also means amazing conditions at Strandafjellet ski resort. When it opened boxing day, the snow was still coming down heavy. But the next day we got to ski in perfect conditions. I don’t think I have to use to many words to describe just how stoked I felt. It was pure joy! Hope you all had an amazing Christmas, and that you are ready to embrace 2018! Vi er utrulig heldige som har dette rett utanfor stovedøra. Og vi deler det meir enn gjerne med alle som vil nyte❄🌞⛷🏂! Flotte bilete, Tonje vår👍❤!